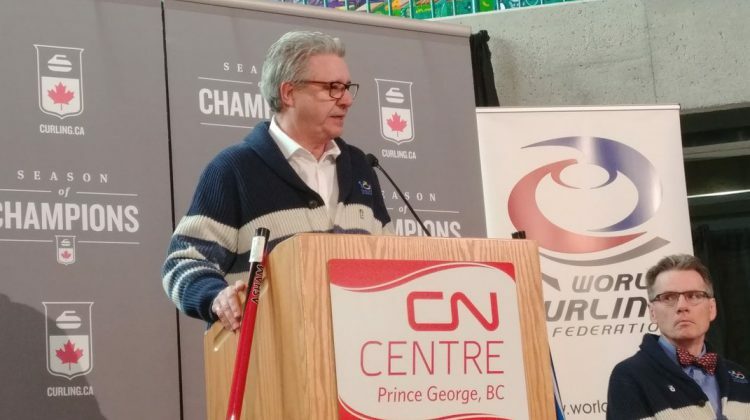 Prince George will be welcoming the world in 2020 as the World Women’s Curling Championship is coming to CN Centre. The tournament will run from March 14th to the 22nd and will be held right in line with the 100th anniversary of curling in the Northern Capital. After missing out on the 2020 Tim Horton’s Brier, CN Centre Manager Glen Mikkelsen believes this tournament will be anything but a consolation prize. Prince George-born curler Patti Knezevic represented BC during the 2014 Scotties Tournament of Hearts in Montreal and says holding a tournament of this calibre shows how far the sport has come in the province. Speaking of that commitment level, Knezevic believes it should be off the charts once this tournament gets underway. Curling Canada was the main driving force behind Tuesday’s big announcement. Director of High-Performance Gerry Peckham, who is from Prince George, believes the competition should be through the roof. This will be the first major curling tournament to come to Prince George since the 2009 Road to the Roar Pre-Trials. The Scotties Tournament of Hearts was also held in PG in 2000 and 1983. The tournament is coming back to the province for the first time since 2008 when Vernon hosted it. Prince George has also hosted the 1987 Canadian Seniors and the 1979 Canadian Mixed Championships. Last week, Quesnel played host to the BC Men’s and Women’s Curling Championships where the winners earned a birth to this year’s Scotties Tournament of Hearts and Tim Horton’s Brier.